How we understand the “terrorist threat” is critical to defining a sound policy for addressing the problem. Yet there’s something deeply, dangerously wrong in the way many of us think of the threat. That’s manifest not only in the prevailing view, but also, especially, in the outlook of some of its fiercest critics. Take a look at the facts, however, and it’s clear the “terrorists” are so vastly outmanned and outgunned that they simply cannot pose an existential threat. For example, when the Islamic State (or ISIS) was at its peak strength, it had some rifles, explosives, and pickup trucks, but no navy, no air force, nothing like the vast, advanced war machine of Nazi Germany or the Soviets. However you tally the material strength of all the jihadists on the face of the globe, they are way, way overshadowed by America’s towering military. The contrasting view, partly a reaction to the “existential threat” outlook, holds that the problem has been massively overblown. Here’s how Shikha Dalmia, a columnist for Reason magazine, expressed that view. In “What Islamist Terrorist Threat?,” Dalmia looked back at the ten years since 9/11 and noted the absence of comparable mass-casualty attacks in that period. She argued that Al Qaeda lacks the skilled operatives and the resources to inflict serious harm on Americans. Apart from 9/11 itself, she suggested, “maybe the Islamists never posed that big a threat to begin with.” Islamist terrorism, she argued, is a minor threat, hardly the kind of thing that would justify a “war.” The 9/11 attack warranted “some limited effort to clean out Al Qaeda in Afghanistan” but certainly not trillions of dollars (and counting) on two unending wars and on enhanced homeland security. Perhaps the scholar who’s done the most to advance this line of thinking is John Mueller, a professor at Ohio State University and a senior fellow at the Cato Institute, a libertarian think tank. Back in 2006 he wrote Overblown: How Politicians and the Terrorism Industry Inflate National Security Threats, and Why We Believe Them. Along with his frequent collaborator, Mark Stewart, he’s written at length, for scholarly and popular outlets, contending that fears of Islamist terrorism — and the policy responses to them — are greatly exaggerated, even “delusional.” Mueller’s conclusion is built in part on a statistical risk-analysis of terrorist attacks and their cost. One takeaway from his work is that each year more Americans die in the bathtub (from falls and drownings) than from Islamist terrorism. This is a point that President Obama frequently voiced to his staff, underlining America’s ability to absorb future attacks. There remains a distinct issue: What is the scale of the “terrorist threat”? How should we conceive of the Islamist phenomenon? Much of the appeal of this line of thinking has to do with the disastrous “war on terror.” Clearly, no sane person would wish to see the Iraq and Afghanistan debacles repeated — and absolutely not, if we’re talking about an enemy that is orders-of-magnitude less powerful militarily. Another Iraq, for a bunch of peasants with rifles? Absurd. Now add in the fact — which Mueller has underscored — that homeland security measures have come at a gargantuan financial cost and, moreover, encroached on the freedom of Americans. It’s true, the “terrorist threat” falls short of being “existential.” It is true (as I’ve also argued at length) that the “war on terror” was a debacle, and I’d argue that the burgeoning footprint of homeland security and mass surveillance is symptomatic of that failure. These are important truths — but granting all of them, there remains a distinct issue: What is the scale of the “terrorist threat”? How should we conceive of the Islamist phenomenon? Is it right, following Mueller and those who share his outlook, that the Islamist threat is really so minor (less deadly than bathtubs!) that we should treat it as an “acceptable,” livable-with menace to our lives? No, that perspective is not only wrong, it’s also dangerous. Instead of overstating the problem, it trivializes the threat. It’s a hyper-narrow, non-contextual view. It blinds us to an essential feature of the phenomenon that we must understand in order to confront the threat: specifically, that it’s ideas-driven. It blinds us to the dynamics by which the Islamist menace has grown from a minor, easily extinguishable problem, to something more. It blinds us to the fact that this enemy’s agenda is hardly exhausted by inflicting terrorist attacks, and that it has already managed to batter a pillar of free societies, the right of free speech. It blinds us, in short, to the true nature of the threat, and thus it disarms us. Call it the blinkered view. Missing from the blinkered view is something that’s also missing from the “existential threat” outlook. That Bush-era view, in its own way, was willfully blind to the threat’s wider context, and that blindness rendered America’s policy response to the threat ineffectual. The aim of this essay is to provide an unblinkered, broad-scope perspective on the Islamist threat. By filling in crucial elements of the issue’s wider context, which the blinkered view leaves out, I’ll try to convince you that the Islamist movement is a serious, worsening menace which — if trivialized — could well become an existential threat. Central to the blinkered view is a misconception of the Islamist nature of the threat. Let’s consider how John Mueller, a major driver of this way of thinking, talks about the Islamists. To Mueller and many who share his view, Islamists are interchangeable with “terrorists.” It just so happens that many of these terrorists have ties to the religion of Islam. That ideological dimension is treated as incidental. The emphasis is on the means by which they inflict harm — rather than on their ends, the why that animates them. If you play down the ideological goals of Islamists, however, you create a blind spot about the nature of the threat. It’s unsurprising if a foot soldier regards himself as waging a narrower battle in the wider, generations-long war in the path of Allah’s law. Perhaps “play down” is an understatement. What makes Islamists distinctive, by their own admission, is their ideological motivation. In an article on New Ideal, I’ve argued that Islamists constitute a movement encompassing regimes such as Iran and Saudi Arabia, along with many rival, infighting factions, notably Al Qaeda, the Islamic State, Hamas, the Muslim Brotherhood and still others. What unites them is the ideological goal they seek to realize: imposing Islamic religious law, sharia, wherever they can. This movement is essentially driven by an ideology deeply rooted in religious ideas. This fact is fundamental to understanding and assessing the threat from Islamists, whether they deploy the tactic of mass-casualty terrorist attacks like 9/11, or other tactics to advance their perverse ideals, such as intimidation and electoral politics (as, for example, the Muslim Brotherhood in Egypt has done in recent years). So, it’s a striking feature of Mueller’s conception of the threat that he demurs at seeking an ideological motivation for Islamist attacks. This is doubly bizarre because in arguing against that approach, the evidence he and his co-author (Mark Stewart) present in fact works to stress the centrality of ideas in animating the Islamists. It is because Mueller and Stewart refuse to take ideas seriously that they fail to properly interpret their own findings. The reported outrage at American foreign policy; the hostility toward US wars in the Mideast and support for Israel; the desire to protect what they feel is an embattled religion — these are manifestations and consequences of an ideological outlook. They reflect the assumption that Islam is the true religion, that it should govern all mankind, and that anyone who opposes or undermines it thereby makes himself an enemy of the faithful. That’s not only consistent with, but in fact reflects, the global strategic vision holding that Islamic religious law (sharia) is the only moral foundation for human society. A particular assailant may only see himself as avenging or retarding the unbelievers’ assault on his religion or on his co-religionists overseas (in Iraq, in Afghanistan, in the Palestinian territories), but that’s no less an ideological motivation than the wider vision of spreading sharia and establishing a caliphate. Moreover, there is considerable debate among Islamist factions about when, and at what pace, these strategic goals — chiefly, the creation of a caliphate — should be realized; so, it’s unsurprising if a foot soldier regards himself as waging a narrower battle in the wider, generations-long war in the path of Allah’s law. In a parenthetical aside, Mueller and Stewart express puzzlement at the attitudes of the would-be attackers they’ve studied, whom they characterized as essentially non-ideological: “None seems to remember, or perhaps in many cases ever knew, that the United States strongly favored the Muslim side in Bosnia and in Kosovo in the 1990s, as well as, of course, in the Afghan war against the Soviet Union in the 1980s.” Ignorance certainly can explain this in some, many, or most cases, but for those who (like Osama Bin Laden) are fully aware, it would be irrelevant precisely because from their ideological framework, there’s no policy that we unbelievers can pursue that would be acceptable, except for submission and surrender to Islamic law. Reflecting a common approach, Mueller and Stewart myopically focus on the Islamists’ means (the oft-used tactic of terrorism in some form) rather than their ends: “As a result, military installations within the United States were fairly common targets — though not very good ones if one is seeking to do maximum damage and inflict maximum shock.”5 Notice how this observation takes 9/11-scale attacks as something like a defining feature of the Islamist movement; however, Islamist groups view their goals more broadly (more on this later). For example, they’ve sought to overthrow impious regimes by various means, such as cultural indoctrination, assassinations and wars. It was our failure to properly conceptualize the nature and goals of the Islamists that opened the door to, indeed encouraged, their aggression. The blinkered view corrupts our understanding of the Islamist threat. A prime example is the meteoric rise of the Islamic State (or ISIS) in the mid-2010s. If we tell ourselves that we’re dealing with terrorists-who-happen-to-be-linked-to-Islam, instead of seeing the Islamist phenomenon as fundamentally ideas-driven, there’s no compelling explanation for the spectacular, magnetic pull of the Islamist State. Islamic State, which began as an Al Qaeda splinter group, declared itself a “caliphate” in 2014, seizing control of territory in Iraq and Syria. Having established a totalitarian Islamist regime, ISIS invited the faithful to live and fight under its quasi state. And they came. Tens of thousands of people came. Not only from across the Middle East, but also, remarkably, from the world’s freest, most prosperous countries: the United Kingdom, France, Germany, Switzerland, Australia, the United States, Canada, Norway. While clearly Islamic State fomented, inspired and directed jihadist attacks globally, what galvanized followers was its ideological vision. Islamic State presented itself — and was embraced by followers — as the realization of a moral society under Allah’s law. Its ideological-political goal was not incidental, but fundamental to its appeal. There’s a disconnect between the blinkered conception of the threat and the reality of the Islamist movement. It stems from an unwillingness to take seriously that the Islamist movement is ideas-driven. To jettison that vital truth is to artificially constrict one’s range of vision. It’s like fixating on the bark while losing sight of the tree — never mind the forest. This is a self-imposed handicap to understanding the threat and its severity. To appreciate some of the ramifications of that handicap, let’s widen our perspective further to consider, first, how the Islamist movement went from being a piddling nuisance in the decades before 9/11 to becoming a serious menace; and, second, the Islamists’ campaign against a pillar of free society, the principle of freedom of speech. A common thread unites these two cases. They illustrate — contra Mueller and others — the destructive results of myopically viewing Islamists as defined by their means rather than their ideological ends. It was our failure to properly conceptualize the nature and goals of the Islamists that opened the door to, indeed encouraged, their aggression. The 9/11 attacks, Mueller has pointed out, were an “aberration,” a “statistical outlier,” particularly in the scale of the death toll and the economic destructiveness. No other attack has come close. True, but that ignores the wider context of how, across decades, the Islamists went from being a puny, largely impotent movement to becoming so daring as to carry out such a massive attack. The theme of that story is the blinkered, non-ideological view of the problem — in practice. In Winning the Unwinnable War, I analyze in detail the major episodes leading up to that fateful day in 2001. Here let me sketch out just the basic pattern. When responding to Islamist attacks, the United States viewed them as scattered, disconnected crises; discounted the ideological character of the threat; and appeased the aggressors — with foreseeable results. The road to 9/11 began at the gates of the U.S. embassy in Tehran, Iran. One November morning in 1979, amid the revolutionary upheaval in Tehran, an anti-American crowd stormed the embassy grounds and buildings. They took the American diplomats and guards hostage. Invading an embassy is tantamount to invading the sovereign territory of a foreign country. It is an act of war. The Iran hostage crisis lasted 444 days. More than fifty Americans hostages endured a living hell. They were, by turns, threatened, beaten, terrorized. Whatever justifications the hostage-takers gave, the cause animating their violence was not outrage at US foreign policy but desire for Islamist theocracy. It’s open to question whether the militants invaded the embassy at the explicit command of Ayatollah Khomeini, who was working to solidify Islamist rule. But it’s clear Khomeini gave the hostage-takers his blessing and reaped benefits from the crisis. How did Washington respond to this outrage? You’d expect a nation committed to protecting the lives and freedom of its citizens to have recognized the nature of the crisis — an act of war, initiated by a far weaker adversary — and stood up for itself swiftly. It could have immediately threatened, and if necessary deployed, military force to release the hostages. It could have denounced all forms of religious theocracy. Taking such actions would have affirmed its reputation as a nation that none dare menace. But what America in fact did had the opposite effect. The creation of the Islamist regime in Iran supercharged the confidence of Islamist groups far and wide. The honest name for that policy is appeasement. Iran forcibly kept American citizens hostage, it extorted from Washington a ransom — and we capitulated. The price in dollars paled in comparison to the moral meaning and destructive consequences of Washington’s surrender. Iran came away acquitted of any guilt, and Washington, by condescending to negotiate with that theocratic regime, conferred on it undeserved legitimacy. This turned out to be a milestone on the road to 9/11. Speaking of the hostage crisis, Khomeini famously observed that America cannot do a damn thing. Our capitulation invited further aggression. In the Islamic Republic of Iran, Khomeini and his followers created what other elements of the Islamist movement in Egypt, Pakistan, and elsewhere had never achieved: an actual regime founded on the principles of Islam as a total state. Take the galvanizing appeal of the Islamic State, and multiply tenfold. The creation of the Islamist regime in Iran supercharged the confidence of Islamist groups far and wide. The new Iran not only inspired hope of future advances, it was committed to hastening them. The Iranian constitution mandated exporting its Islamist revolution, by force. Eager to be seen as the standard-bearer of a global jihad, the Iranian regime was emboldened to escalate from taking Americans hostage to taking American lives. What followed was a spiral of aggression spearheaded by Iran and its proxies. For example, in April 1983, a jihadist suicide-killer rammed a truck full of explosives into the US embassy in Beirut, Lebanon. The driver belonged to Hezbollah, an Islamist group that Iran helped build, fund, train, and direct. In response the United States did nothing to retaliate. Six months later there was another explosive-truck attack in Beirut, targeting a barracks housing US marines. The explosion was “the largest non-nuclear explosion that had ever been detonated on the face of the Earth.” It claimed the lives of 241 marines. Again, the evidence trail led to Iranian-backed groups: the culpability for the attack rested with the regime in Tehran. The response? Despite some tough rhetoric from President Ronald Reagan, there was no explicit recognition of Iran’s central role in the massacre or its role as standard-bearer of the emergent Islamist movement. Eventually, Reagan ordered a redeployment of the marines from Lebanon; it was a retreat. Years later, Osama Bin Laden would gloat about this American retreat, portraying our forces as cowardly, with the implication that stouthearted jihadists could overcome a more powerful enemy. There were further attacks, not only by Iran and its proxies but also by other jihadist factions. In 1993, there was even an attack on the World Trade Center. The plot was designed to inflict catastrophic harm. The truck-bomb was supposed to topple one of the towers onto its twin, but it failed. The blast did manage to kill six and injure more than a thousand. The tactic of terrorism hardly exhausts the impact that Islamists have sought to achieve. They want to see their vision of a proper society — one subjugated under Islamic religious law — enforced everywhere. Evidence that this was another salvo in a broader jihad against America went unexplored. The dots were left unconnected. The Clinton administration dealt with the bombing as a law-enforcement matter. Then more attacks came, inflicting serious casualties and probing to see how much aggression America would tolerate. By this time, Osama Bin Laden had begun growing the Al Qaeda network, and he had risen to prominence within the Islamist movement. Bin Laden famously issued a “declaration of war” against America, spelling out the ideological source of Islamist hostility to America. Few took it seriously, let alone situated Al Qaeda within the wider context of the Islamist movement’s rise. Demonstrating its ambition and ferocity, Al Qaeda in 1998 carried out near-simultaneous bombings targeting US embassies in Kenya and Tanzania, killing more than two hundred people and injuring some five thousand. The Clinton administration launched a toothless retaliation, shelling some Al Qaeda training camps and an empty factory. This was nowhere near enough to undo the longstanding American pattern of appeasement, sporadic reprisals, and evasion about the nature of the threat. That became tragically clear on 9/11. The “terrorists,” Mueller has observed, seek to inflict “maximum damage and shock,” but they rarely succeed, and when they do, their impact is minor — with the exception of 9/11. That’s part of why the blinkered view leads to a trivialization of the threat. Few attacks, small impact — so: keep calm and carry on. But this, again, misconceives the Islamist threat by emphasizing means instead of ends. The tactic of terrorism hardly exhausts the impact that Islamists have sought to achieve in advancing their ideological goal. They want to see their vision of a proper society — one subjugated under Islamic religious law — enforced everywhere. To an astonishing degree, they’ve made inroads within the West by battering a pillar of free societies — though, on the blinkered view, you’d never connect the dots and see it. That pillar is the secular principle of freedom of speech. Perhaps even more astonishing — a marker of how the blinkered view can corrupt thinking — is that this Islamist assault on freedom of speech is anything but stealthy. It’s blatant, murderous, savage. For nearly three decades, Islamists have sought to negate freedom of thought by threatening, and actually killing, those who dare criticize their ideas. The pattern goes back to 1989, when Ayatollah Khomeini decreed that the novel The Satanic Verses, by the British writer Salman Rushdie, was “blasphemous.” Khomeini called upon all pious Muslims, everywhere, to hunt down and kill Rushdie and all those involved in the making of the book, notably including publishers. The Iranian regime offered a bounty for Rushdie’s life. Essentially the regime was crowdsourcing a hit squad, globally. Some of the faithful heeded the call. There were firebombs at bookstores, death threats against publishers, and one of Rushdie’s translators was killed. Rushdie went into hiding, living under round-the-clock police protection for years. The point of Khomeini’s incitement to execute the “blasphemers” behind The Satanic Verses was to elevate Islamic dogma above the secular principle of freedom of speech. Notice the premise of Khomeini’s demand: the scope of Islamic law, or sharia, cannot be limited just to the borders of Iran. It must be enforced everywhere, taking precedence over secular laws within Western countries. The basic response of Western governments, responsible for upholding the right to freedom of speech, was pathetic. Washington extended to Iran our “good will.” When President George H.W. Bush finally commented publicly on the Iranian death-decree, he said: “However offensive that book may be, inciting murder and offering rewards for its perpetration are deeply offensive to the norms of civilized behavior.” With that shameful statement, Bush implied that Khomeini and Rushdie were equally objectionable. He added the pro forma warning that America would hold Iran “accountable” should any action be taken against US interests, a warning no one in Teheran had reason to tremble over. The Rushdie crisis opened the door to further Islamist assaults, small and large, on the freedom of speech. Then, in 2005 and 2006 came the “cartoons crisis,” after a Danish newspaper published twelve cartoons of the prophet Mohammad. The newspaper’s editors commissioned those cartoons because they had noticed signs of rampant self-censorship on the subject of Islam in European society, and they wanted to gauge the degree of the problem. What followed: protests, boycotts, deadly riots, and at least two hundred dead. The “cartoons crisis” went global. The Islamists, enabled by Western appeasement, have altered the culture of the West: to speak up against their ideas can mean risking your life. Was there a redoubled commitment from our political and intellectual leaders to defend the principle of free speech? No, the prevailing response to the Danish cartoons crisis was shameful. European leaders tripped over themselves in the rush to appease; the George W. Bush administration conveyed that it viewed the cartoons as offensive, and that perhaps they should not have been published in the first place. The widespread appeasement by Western governments inspired more jihadist aggression. For example: the massacre in 2015 at the Paris office of the magazine Charlie Hebdo. The magazine’s editors and contributors, having reprinted the Danish cartoons and published various satires on religion, were put to death because they “blasphemed.” The executioners were self-identified jihadists. Five months later, there was another jihadist attack on free speech, on American soil, at a cartoon contest in Garland, Texas. Worse, after Charlie Hebdo and the Garland attacks, you could hear intellectuals essentially blaming the victims. The Islamists, enabled by Western appeasement, have altered the culture of the West: to speak up against their ideas can mean risking your life. Ayaan Hirsi Ali, who collaborated on a film mildly critical of Islamic mores, lives under 24-hour security (a jihadist murdered the film’s director, Theo Van Gogh, on an Amsterdam street in 2004). She is on an Al Qaeda hit list. So is Flemming Rose, the Danish journalist who commissioned the notorious cartoons. So are two of the cartoonists. The wider lesson is twofold. First, this assault on the principle of freedom of speech is an integral feature of the Islamist threat, reflecting the essentially ideas-driven nature of the enemy. Second, it’s a serious error to assess the scale of the Islamist threat solely, or even primarily, in terms of mass-casualty attacks, which are difficult to carry out. Doing so misses the full context. Islamists have managed to advance their agenda in several ways that have impacted our society. The climate of self-censorship, well established in Europe a decade ago, has spread. Consider the decision in 2009 by Yale University Press, a prestigious academic publisher, regarding The Cartoons That Shook the World. The book is a scholarly analysis of the Danish cartoons controversy; the author, Jytte Klausen, planned to feature images of all twelve of the notorious cartoons along with other illustrations of Mohammad, including a nineteenth-century sketch by Gustave Doré. Yale was initially inclined to publish the images in the book, which are essential to its subject. But in the end Yale decided to omit all the cartoons and other images of Mohammad from the book. Forty years ago, the Islamist movement was indeed a minor, perhaps even a trivial, threat. But it has grown to become a serious problem over time, because through our evasion, inaction and appeasement, we let it. Instead of bringing us greater clarity, the blinkered view corrupts our thinking about the Islamist threat. It also distorts how we think about dealing with that threat. What recommendations are we to adopt if our perspective on the issue is encapsulated in the datum that each year more Americans die in bathtubs than at the hands of Islamists? Notice how, insofar as it appeals to people, this remedy counts on a number of misconceptions and errors, which leave us ill-equipped to deal with the actual threat. One is the assumption that only an existential threat warrants retaliatory military force in self-defense. But that’s false. The responsibility of a proper government is to protect the lives and freedom of its citizens. If some maniacs went on a spree of stabbing people to death on the New York subway, that rise in the murder rate would be nowhere near an “existential” threat. Yet clearly, we’d expect the police force to find and stop the killers. The same logic applies to the government’s responsibility to protect us against foreign threats. You might object, “What, we need another Iraq War to deal with the Islamists? No thanks.” Is it right, though, to equate military force with a monumentally irrational, disastrous application of such power, the Iraq War? No, it’s a major error. Neither tornados nor bathtubs are out to kill you, but Islamists are. The military is a powerful instrument, but it is our foreign policy that sets its direction and priorities. Clearly military force can be — and, in the past, has been — guided by better policy, and it was effective in advancing our self-defense (World War II comes to mind). What unfolded in Iraq was nothing like the military action that was necessary for our self-defense in the wake of 9/11. In Winning the Unwinnable War, I explain that it was fundamentally a policy failure, not a military failure: in short, it was a nation-building welfare mission, not a self-interested mission to eliminate threats we faced. To demonstrate that conclusion takes a lot of evidence, which I provide in my book; my aim here is not to do that, but just to challenge a false assumption. It’s a mistake to equate the Iraq War (as horrific and disgraceful as it was) with military action in self-defense, and then discard that option as ineffectual. To do so is to disarm ourselves in the face of a mounting threat. Another error, closely related, is evident in the talking point that each year more Americans die in the bathtub (or traffic accidents, or natural disasters, etc.) than at the hands of Islamist attackers. This confuses risks that are fundamentally different in kind. We can distinguish three kinds: natural perils (tornados, lightning), human-initiated accidents (slipping in the bathtub, traffic accidents), and harm deliberately inflicted by people on other people (murders, bombings). The differences matter. For example, we can mitigate and insure against tornado damage or fail to do so, but our inaction will not lead to more tornados, nor affect their ferocity. We can also refuse to take any steps to lessen the number of accidental deaths in bathtubs, but our inaction will not make bathtubs a growing threat. 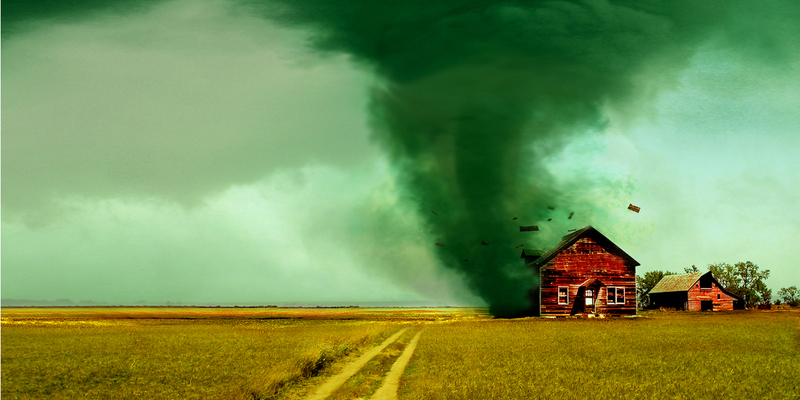 There’s a crucial difference: Neither tornados nor bathtubs are out to kill you, but Islamists are. Inaction in the face of the Islamist menace, therefore, does affect the severity of the threat that they pose and the damage they inflict. And because they’re committed to their ideological goal, they’ll fight on, and on, and on — unless they’re stopped. We’ve seen that already. Finally, consider Mueller’s recommendation that we view (Islamist) “terrorism as a criminal activity of rather limited importance,” something to be dealt with through international policing. This bears a striking resemblance to what was in fact American policy in the decade or so leading up to 9/11 — the policy that failed to prevent that catastrophic Islamist attack. For example, the Clinton administration prosecuted the culprits behind the 1993 attack on the World Trade Center. And, recall, Clinton authorized highly limited military action — some missiles — in retaliation against Al Qaeda for the 1998 embassy bombings in Africa, a use of military force notable as a conspicuous exception to the norm. Reverting to this pattern is no solution at all. Indeed: Trivializing the threat means allowing it to grow worse. If taken seriously, the blinkered view could pave the way for the threat someday actually becoming existential. The indispensable step to combatting this threat is understanding the nature of the Islamist phenomenon. To do that we must turn away from the blinkered view, adopt a broad-scope, integrative perspective, and recognize that, fundamentally, the Islamist movement is ideas-driven. The News Hour with Jim Lehrer, PBS, October 16, 2009. John Mueller and Mark G. Stewart, “The Terrorism Delusion,” International Security 37 (Summer 2012): 100. Mueller and Stewart, “The Terrorism Delusion,” 100. John Mueller, Overblown: How Politicians and the Terrorism Industry Inflate National Security Threats, and Why We Believe Them (New York: Free Press, 2006), 7. Mueller, Overblown, 8 (emphasis added). Mueller and Stewart, “The Terrorist Delusion,” 103. Can the Israeli-Palestinian conflict be resolved? 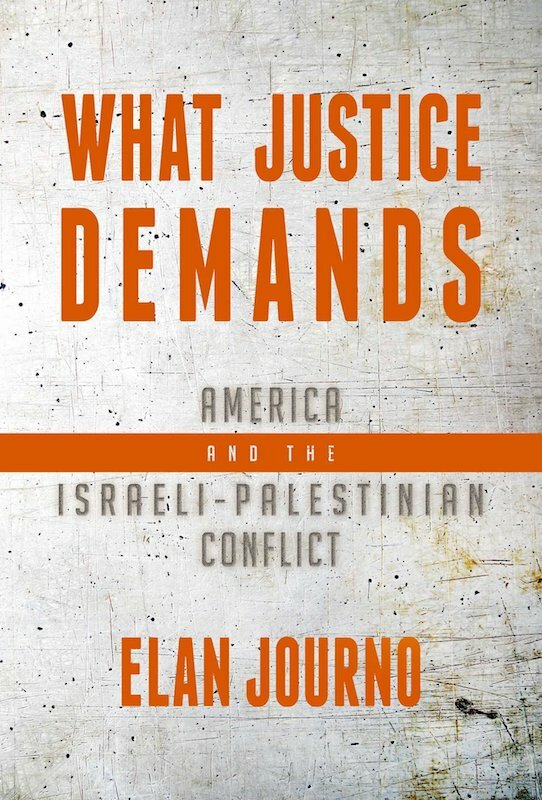 Yes, it can, and it took me an entire book, What Justice Demands, to analyze the essential nature of the conflict and indicate a path forward. In March, I took up the. . . In the name of “economic nationalism,” the Trump administration has called for “fair trade” and has launched a “trade war” on Chinese goods, seeking to impose a variety of tariffs to “protect” selected American. . .